RAF valves are made of only three parts, each one is made of durable materials. 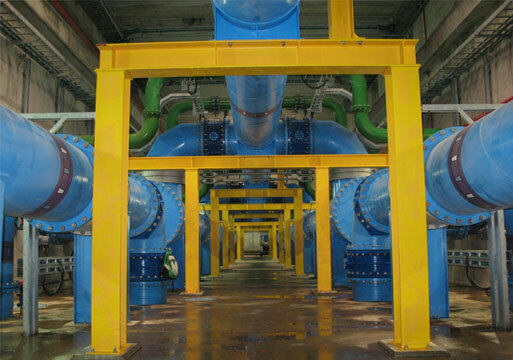 The inner flow passages are streamlined and coated with low-friction materials. This provides quiet flow in both directions, low head-loss and minimal wear. RAF valves operate with a patented reinforced diaphragm, which eliminates the need for a retaining metal spring. The special elastic design enables gradual and precise opening and closing of the valves. By eliminating a metal spring, the RAF is virtually maitenance free.